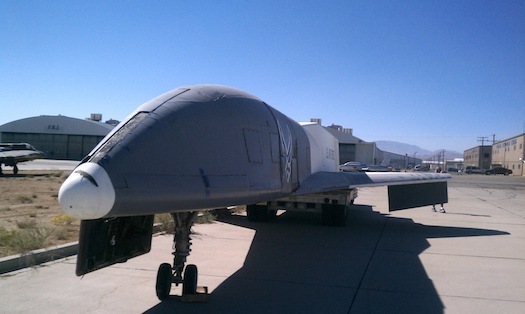 During the Mojave Air and Space Port’s recent Plane Crazy Saturday, visitors got a close look at the two X-34 vehicles that have been stored next to Orbital Sciences Corporation’s L-1011 Stargazer aircraft. The L-1011 carried one of them on three captive carry flights, but neither vehicle ever flew in free flight. 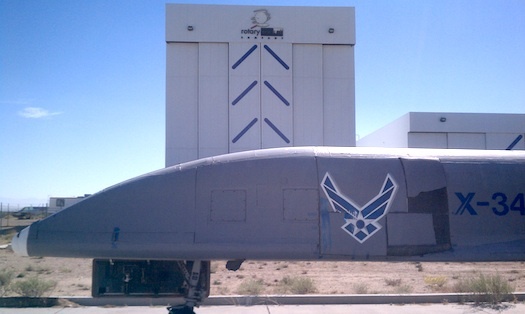 The rocket engine technology demonstrators were put into storage in 2001 after the X-34 program was canceled for technical and budgetary reasons. 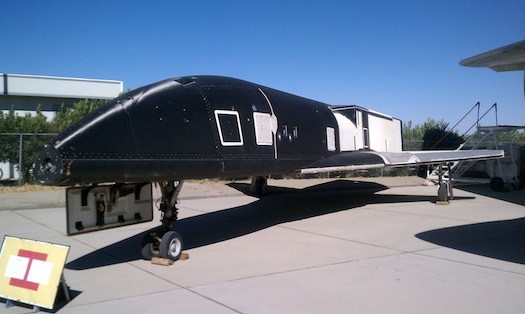 They were pulled out of storage at nearby Edwards Air Force Base in November 2010 for evaluation “as potential flight platforms for reusable space launch vehicle technology demonstrations,” according to a NASA press release. 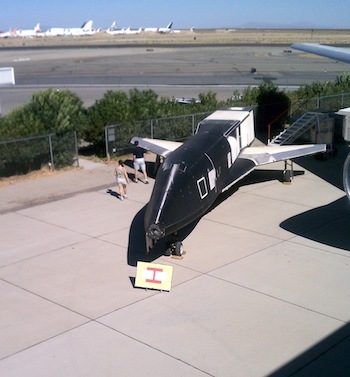 Ed Dunlap, manager of L-1011 operations for Orbital, said during a Plane Crazy Saturday presentation that the two X-34s would be taken away from the spaceport in about three weeks. No use has been found for the vehicles.